Italy; Early 14th Century. Latin Text; Transitional Rotunda Script. 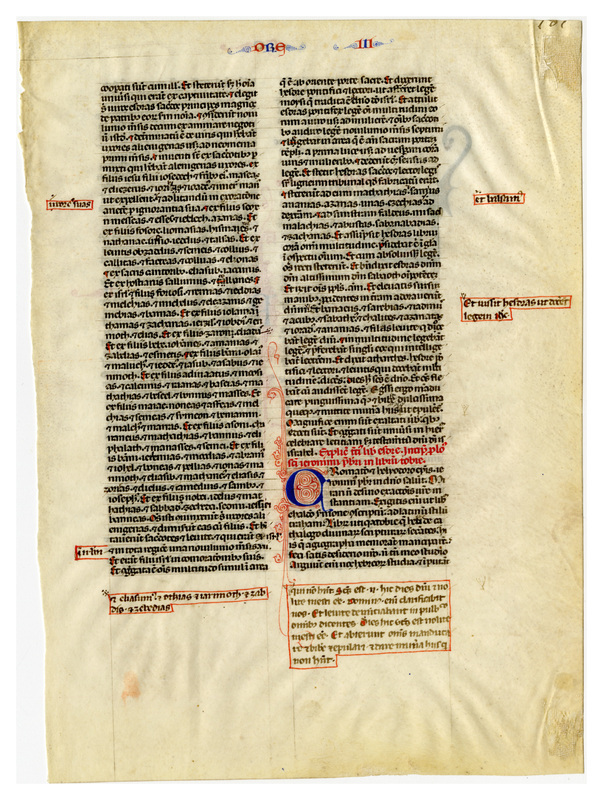 The leaves from this bible provide us with clear insight into Otto Ege's selection method. All the Leaf 19s we have seen contain a large beautiful initial letter denoting the start of a new book of the Bible--thus we can expect that all of the rest of the specimens of Leaf 19 in the Ege portfolios are leaves that contain the ending of one Biblical book and the beginning of another, and we can assume that Ege chose them for the sake of the single large decorated initial. Apart from the arresting initial, the leaves contain red and blue ink scrollwork, with headers in alternating red and blue. Missing pieces of text (sometimes fairly lengthy ones) have attention drawn to them by being outlined in red. 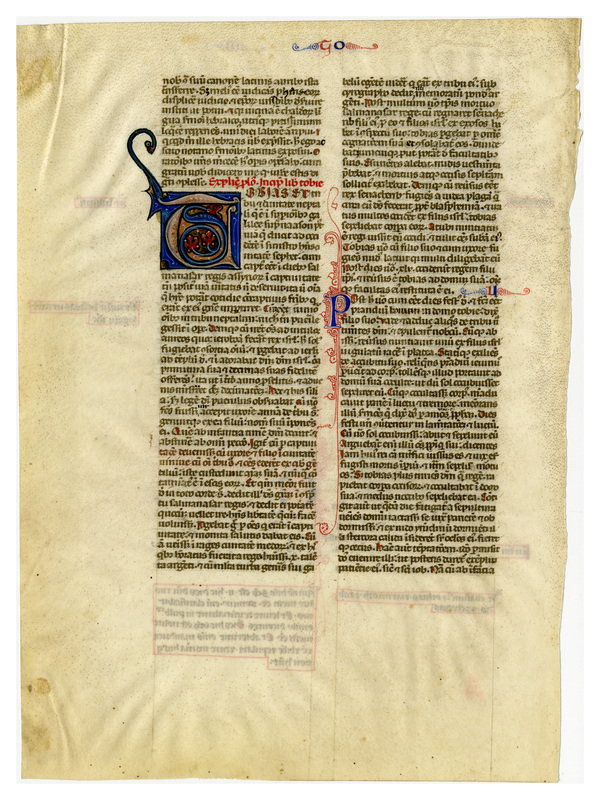 “E0019 Leaf from a Vulgate Bible (Biblia Sacra Latina, Versio Vulgata),” Digital Exhibits | Denison University Archives & Special Collections, accessed April 23, 2019, http://exhibits.denisonarchives.org/items/show/42.